In order to comply with the 2015 Ford Super Duty F-Series Incomplete Vehicle Manual FMVSS (Federal Motor Vehicle Safety Standard) 301 Fuel System Integrity, installation of the Venco VP hoist is prohibited on trucks with a GVWR of 10,000 lbs. or less, because the hoist requires modification to some or all of the following: fuel tank attachment hardware, fuel filler cap, pipe, hose, attachment hardware and/or trailer hitch receiver. 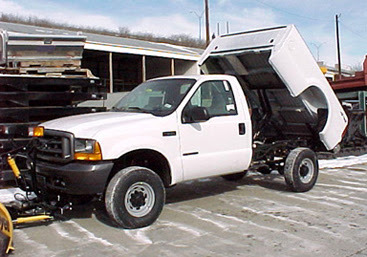 For more details, please consult the Ford Super Duty F-Series Incomplete Vehicle Manual, March 2014, FC34-19A268-AB.